RAWALPINDI: With the twin cities of Islamabad and Rawalpindi facing dwindling water supplies owing to lower rainfall and a corresponding rise in population, a plan to provide water from Ghazi-Barotha has been pending for the past 13 years. However, the incumbent government has decided to bring the project out of the cold store and is expected to start work on the project in the next fiscal year. The project had been conceived in 2006 when former military ruler General (retired) Pervez Musharraf was still at the helm. It was estimated to cost around Rs17 billion and work on the project was scheduled to commence in March 2009 and it was supposed to have been completed in five years by 2013. It was spread over three phases. In the first phase, the twin cities were to be provided with 200 million gallons of water a day by laying a 60-kilometre-long, 80 inch-wide pipeline from the Tarbela dam at Ghazi Barotha to a water treatment plant at Sangjiani in Islamabad. In the second phase additional 200 millions of gallons of water will be received on a daily basis while in the third phase, 255 million gallons of water will be received. Once complete, the twin cities of Islamabad and Rawalpindi will be supplied with a total of 650 million gallons of water a day. The project, though, was put on to the backburner due to objections raised by the Pakistan Muslim League-Nawaz (PML-N) government in Punjab in 2009. 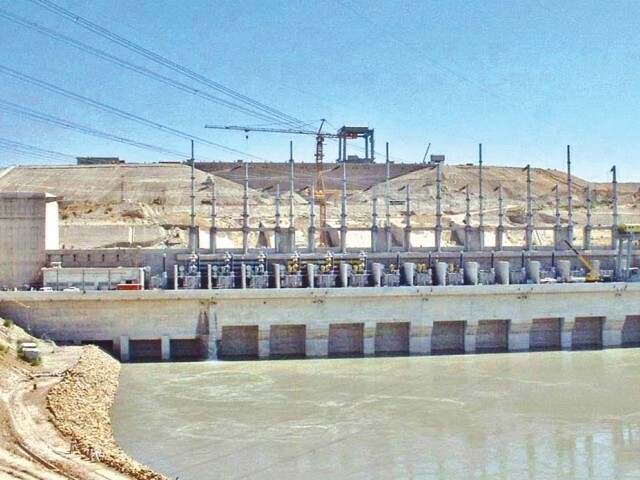 However, later in a 2011 meeting of the Indus River System Authority (IRSA), the Punjab government agreed to allow water to be given to the project from its share of the Indus River. This essentially paved the way for the project and another feasibility study was carried out. But by then, the cost of the project had more than doubled from Rs17 billion to Rs37 billion. The federal government, pointing to a shortage of funds, turned to China. The then president Asif Ali Zardari signed a memorandum of understanding (MoU) with Beijing, which agreed to fund the project. Before the project could be executed the Pakistan Peoples Party (PPP) tenure in government came to an end. The 2013 elections saw the PML-N rise to power in the centre and the project ground to a halt once again. By the time the incumbent Pakistan Tehreek-e-Insaf (PTI) government took over in 2018, the cost of the project had gone up by a factor of five to Rs85 billion, per the new feasibility of the project. Unlike past governments, though, the PTI government has shown more seriousness towards the project by releasing some Rs500 million as an initial sum to start the procedure of procuring land for the project. Water scarcity: Will Ghazi-Barotha ever get dammed? Rawalpindi Development Authority (RDA) Chairman Arif Abbasi told The Express Tribune that they have held separate talks with both, the Punjab Chief Minister Usman Buzdar and Prime Minister Imran Khan over the project. “We have asked them to give us just this project and to spare us from all the other projects so that we can complete the water supply project as soon as possible,” Abbasi said, adding that both Buzdar and Imran had expressed their willingness to accept this proposal. He added that the World Bank and the Asian Infrastructure Investment Bank (AIIB) of China were ready to help with the project while the federal and the Punjab governments will provide financial assistance. Abbasi hoped that once built, the project could resolve the water woes of the twin cities for 100 years. Published in The Express Tribune, January 19th, 2019.